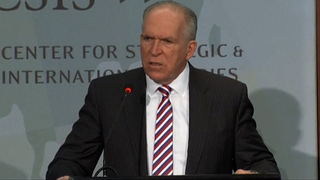 The Intelligence-University Complex: CIA Secretly Supports Scholarships | Democracy Now! We continue to look at the issue of the militarization of civil institutions — this time in academia. The Intelligence Authorization Act is an annual bill that allocates funds for intelligence agencies. When congress passed the 2004 legislation and President Bush signed it into law, the bill drew fire from many corners because it expanded the Patriot Act and was passed with little debate. David Price, professor of anthropology who teaches at St. Martin’s university. He is also author of the book, Threatening Anthropology: McCarthyism and the FBI’s Surveillance of Activist Anthropologists. Felix Moos, professor of anthropology who teaches at Kansas University. PRISP is largely the brain-child of professor Moos who brought the idea for the program to Senator Roberts. AMY GOODMAN: We are joined now by David Price from Washington state. He is in Olympia, Professor of Anthropology who teaches at St. Martins University, also author of the book, Threatening Anthropology: McCarthyism and the F.B.I.’s Surveillance of Activist Anthropologists. And we’re joined by the man who was involved in the creation of these scholarships, Felix Moos, joins us from Kansas, Professor of Anthropology, who teaches at Kansas University. PRISP is largely his brainchild. He brought the idea forward for the program to his senator, Roberts. Lets first go to Professor Moos. Your idea for this and, specifically, for anthropologists. AMY GOODMAN: Can you explain why you feel this is so important, and also if you could talk about the secrecy of the program, professors perhaps not knowing that their students are receiving money from the C.I.A.? FELIX MOOS: Well, the initial idea was that we desperately need people who are competent in foreign languages and areas, which we don’t have. As you probably are aware, we have far too few interpreters in any government agency. We have far too few American intellectuals who speak foreign languages. And therefore, I thought that to have more analysts that are competent in foreign languages and areas was a good idea. It had nothing to do with secrecy. I have never argued that we should introduce spying into American academia. I have been a university professor for more than 44 years. And certainly, I am not for secrecy or any classified activities that cannot be openly discussed. But what I wanted to do is to open a dialogue among anthropologists of the changed world in which we find ourselves. AMY GOODMAN: David Price, you, too, are a professor of anthropology. Your response? DAVID PRICE: Good morning, Amy. My response is that secrecy is definitely becoming a part of this program and the other programs that are coming along with it. What we’re seeing now is a very dramatic shift in funding for graduates and undergraduates in the social sciences and other fields that want to do international study. In the past, we had programs like Fulbright or Title 6 that gave students money to study foreign languages on their own, you know, a number of which have always gone to work for the State Department, intelligence agencies and so on. In the 1990s, we saw a shift with the development of programs, like the National Security Education Program, which was very controversial and had sort of soft payback requirements, where students would later go and be asked to at least look for employment in national security agencies. Now with the development of the Pat Roberts program and another program called the Intelligence Community Scholars Program that’s just coming online, we have sort of indentured scholarship, where from the front in, there’s pre-loyalty, where people who are going to work for intelligence agencies are brought aboard with the understanding that, you know, people won’t know who they are, and then later throughout — they’ll go through the education process, and then later, they’ll go and be doing intelligence work. My — one of my many concerns is that this will inevitably limit and dumb down the type of intelligence that’s gathered and the analysis that happens, because you will only have a select group of people, who going into the process are already thinking in very limited ways. AMY GOODMAN: Professor Felix Moos. FELIX MOOS: Yeah. I think the concerns by David, with whom I have spoken at many occasions, both publicly and privately, are completely misplaced, because I seriously doubt that a program that funds 100 or so individuals in a university system that includes at least 2,000 institutions of higher learning are going to subvert American academia. The thought that this would dumb down intelligence operations is completely misplaced, because we need more people who speak languages and now foreign areas to experience, rather than only academics teaching in universities. And therefore, I would argue that rather than accuse one side or the other by being — bending the truth, we should have a dialogue of how to educate a new generation of anthropology students within the United States that know a lot more about the world than they do. AMY GOODMAN: David Price, the issue of secrecy, and we only have a few seconds to go, but the fact that the professors don’t even know if their students are on the C.I.A. payroll? DAVID PRICE: The interesting thing is, of course, there’s secrecy. Not a single participant in this program has come forward. AMY GOODMAN: Well, I’m going to leave it there, because we have to wrap up the show, but I do want to ask people to email us at mail@democracynow.org with their concerns and questions, and we’ll put them to you for a discussion later. I want to thank you both for being with us.